The Ibis beanie is hand knitted. The beanie has the looks of a little bear. 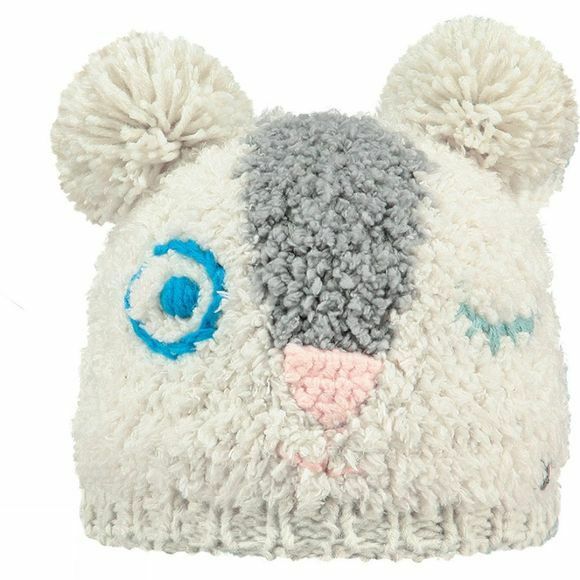 The beanie is super soft and has two poms.